A healthy gluten free breakfast option. 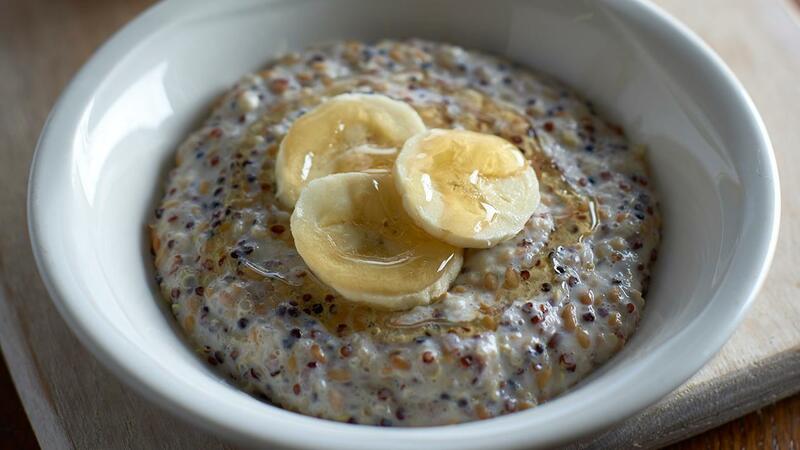 You can serve the quinoa and flax seed porridge with honey to add a natural sweetness or add seasonal fruits for an additional topping. Soak the quinoa overnight in double the volume of cold water. Place the soaked quinoa, vanilla, water, and coconut milk in a suitable pot and bring to a gentle simmer. When the quinoa starts to thicken, add the flax seed, skimmed milk and Knorr Culinary Cream simmer for another 3 minutes, until required thickness is achieved. Finally, stir in the yogurt. Serve topped with berries or seasonal fruits.